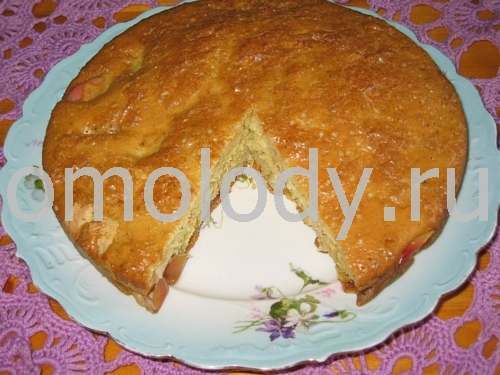 Sharlotka apple pie. Recipes from Russia. 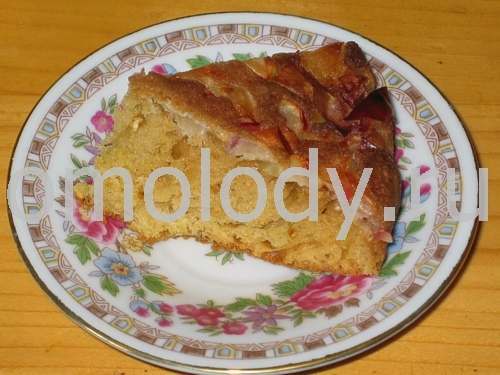 Upside down cake - A cake made by arranging fruit in the baking pan, over which the batter is poured. When cooled it is inverted so that the fruit is on the top. 1. Mix sugar and eggs, add next 4 ingredients. Stir well. 2. Put slices of Apples on skillet a well greased with oil. Pour the batter over the apples. 3. Bake in the oven for 45 - 55 minutes at 220 - 240 C, or until golden brown on top.